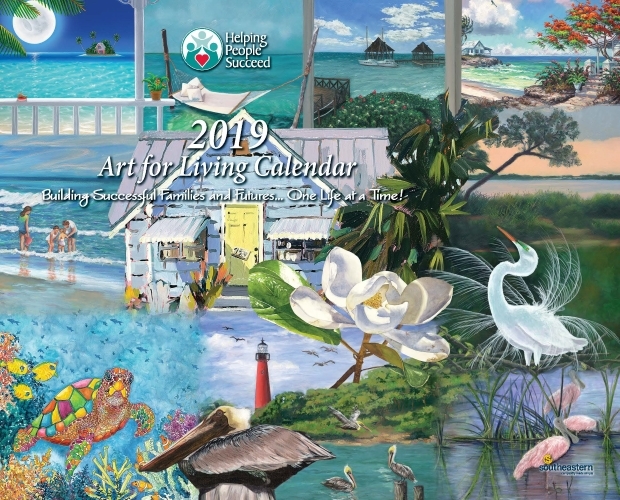 Helping People Succeed shares a Call to Artists for the 2020 Art For Living Calendar. HPS helps improve the community’s viability and diversity through programs that assist children to become ready for school, and adults to find and maintain employment. The Call is open to artists in Martin, St. Lucie, Indian River, and Okeechobee Counties. The Rickie Report shares the details and urges artists to apply! 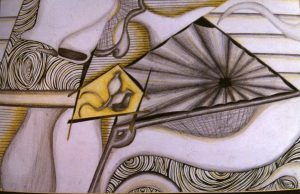 You will have opportunities to sell your original artwork and meet art patrons. Deadline is June 31st. Judging of submissions will be in two phases – digital jpeg submissions for the first round and actual paintings, unframed, for the second round. • 300 dpi image, 10” wide horizontal, RGB color & jpeg format. No frame or glass should be included. • Include title, size of original (X” wide by X” high), medium and retail price of the submission. Final judging will be from original artwork. Slides, photos, or other reproductions will not be considered in the second review. 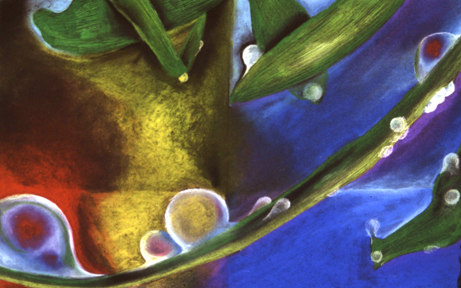 Artists will be notified by e-mail if their artwork is selected for the final phase of judging. Original artwork can be delivered to the Helping People Succeed’s office. 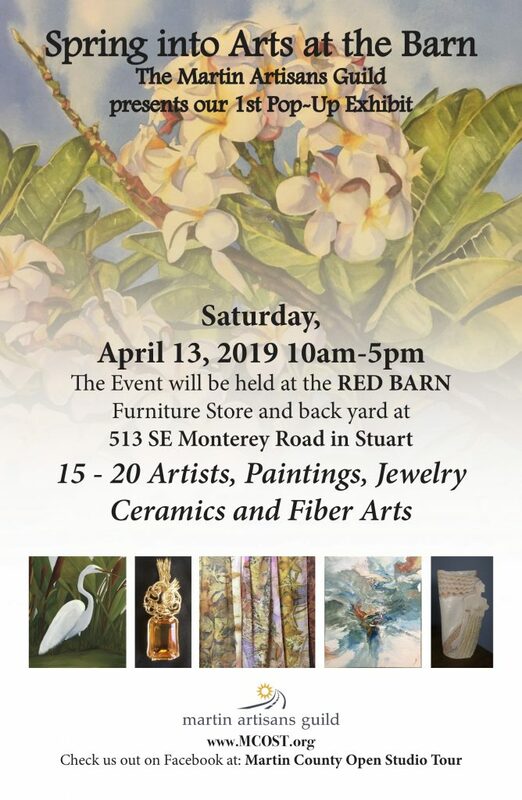 South Florida fiber artist Andrea Huffman is teaching some new classes at the Bailey Contemporary Arts (BaCA) in Pompano Beach, FL. 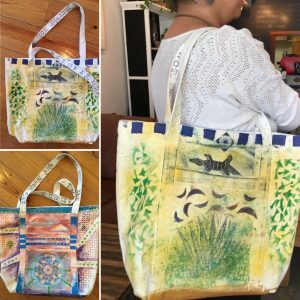 An Artist in Residence at BaCA, Andrea offers a “Concept to Creation” multiple session workshop (begins April 16) and one-day workshops: Nature Print Notecards (May 4), Fabric covered mini journals (June 8), and Create your very own hand-painted canvas tote bag (June 29). The Rickie Report shares the details and some sneak peeks. 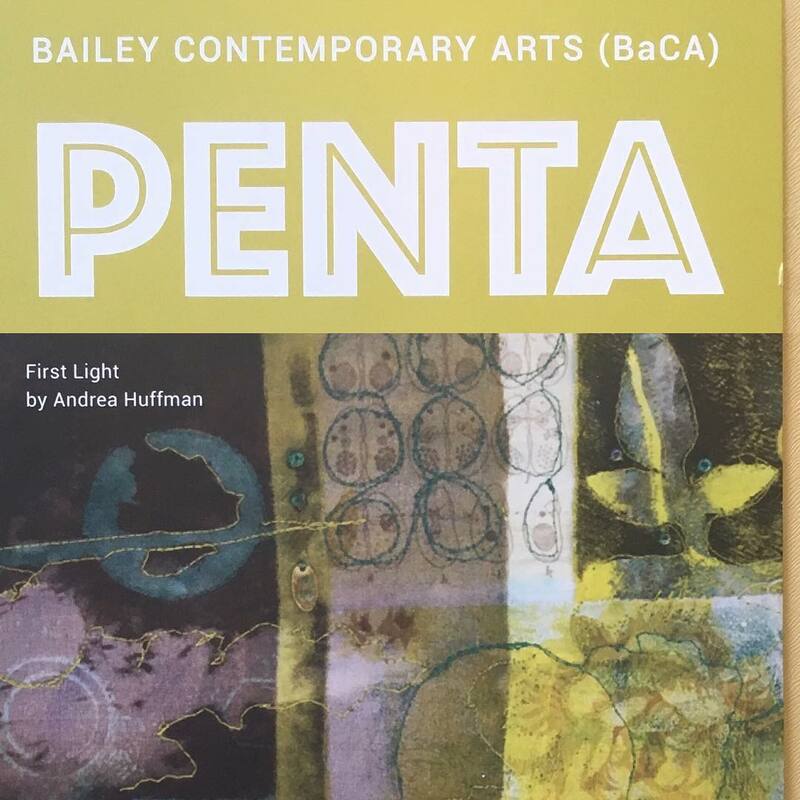 Check out PENTA, an exhibit at BaCA, where Andrea’s artistry is featured through April 25. 41 NE 1st Street Pompano Beach, FL 33060. 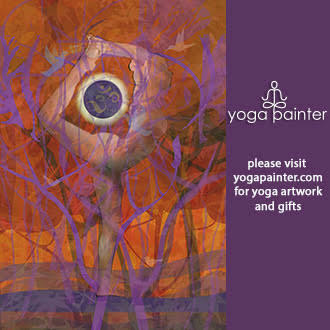 Offering contemporary art exhibits, workshops & classes! 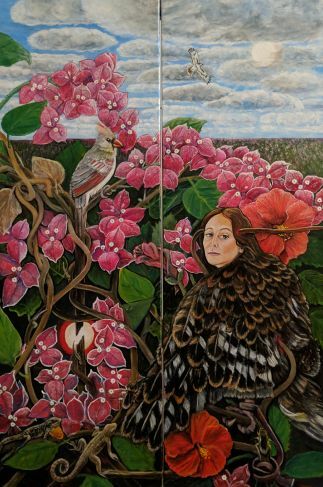 Fiber artist Andrea Huffman received a Master’s degree in Art Education from Florida International University and taught art in Florida Public Schools for over 30 years. 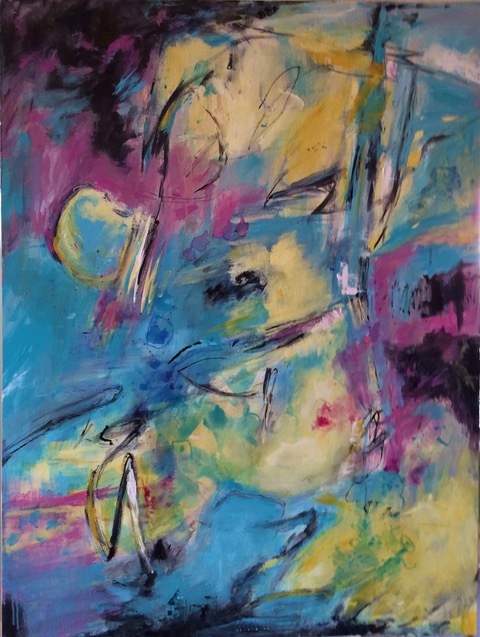 She has exhibited her art throughout Florida and nationally, receiving numerous awards and recognitions, including several grants and a Residency at the prestigious Hermitage Artist Retreat in Englewood, Florida. Although Andrea has retired from teaching in the public school system, she continues to share her passion for art, teaching classes and workshops in fiber art and mixed media at museums, guilds and community outreach venues. • Creative but not sure where to start? • Lost for new ideas or stuck in a rut? • Not sure how to develop a meaningful series? Concept to Creation is a multiple session workshop to inspire artists to tap deeply into their creativity. 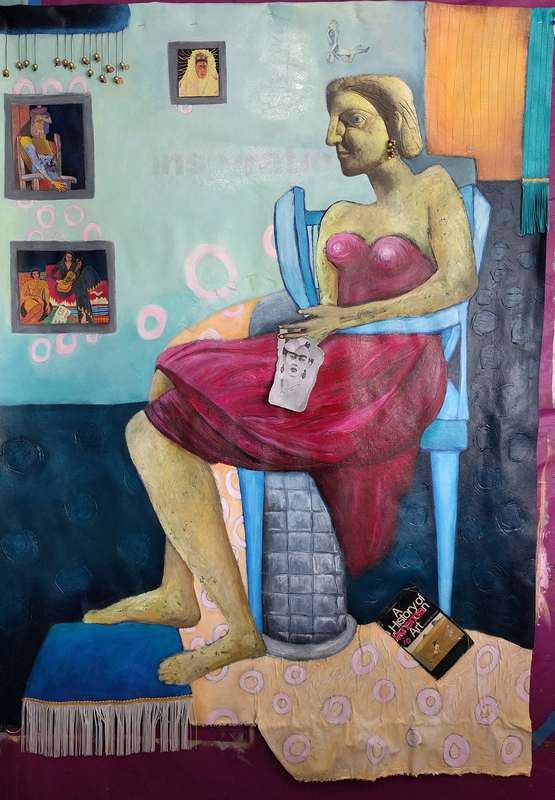 Each week Creative exercises such as concept mapping, tapping into personal histories, or collage provide means to discover your unique artistic style, personal symbols, and imagery. Students will work in a sketchbook along with other media of the student’s choosing. 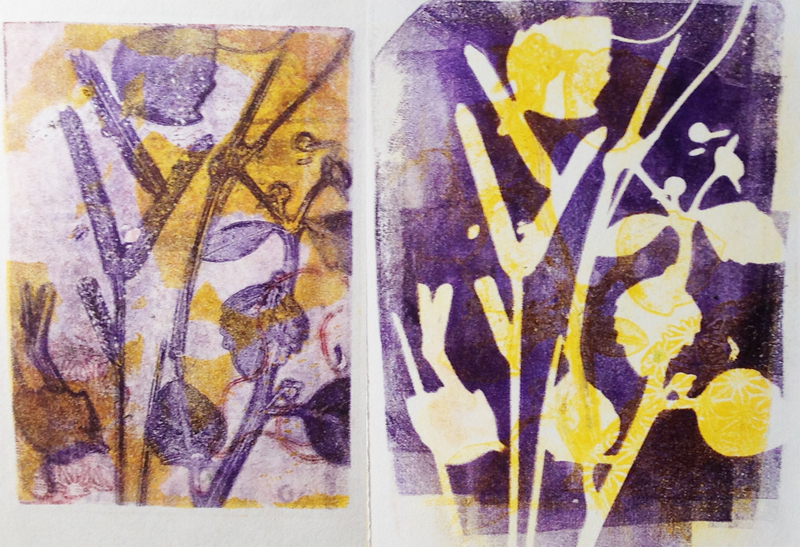 This class is geared toward artists of all levels, working in any medium. April 16: Abstraction from Realism; how far to alter reality. April 30: Personal archaeology, digging for meaningful ideas. May 28: Mind/ Concept mapping for developing a body of work. 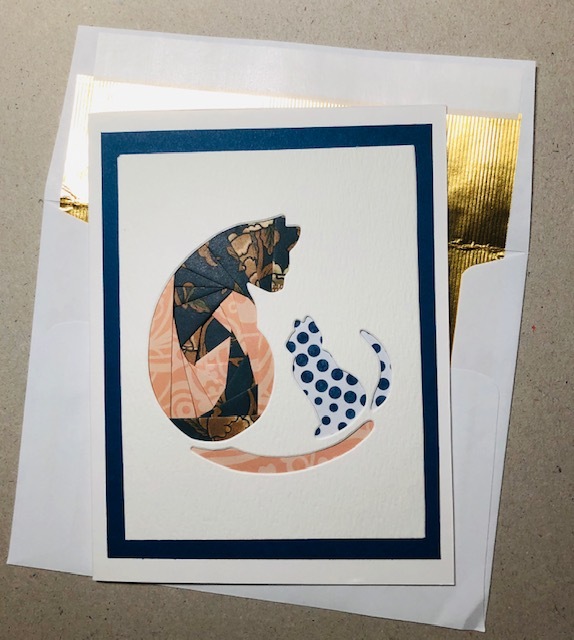 Nature print notecards- welcome summer with colorful printed notecards using locally sourced plants, stencils and found objects. 12 Person Maximum. Cost $50 all supplies provided. 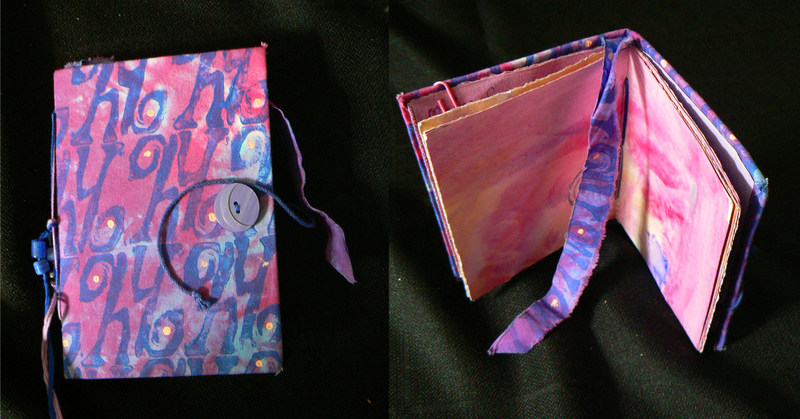 Fabric Covered Mini-Journal- begin your travels, real or imagined, with a journal filled with hand-painted pages and stamped fabric cover. It’s in the Bag- Make a fashion statement at the beach, the farmer’s market or a picnic with your very own hand-painted canvas tote bag. Old School Square Calls For 6th Annual 6X6 Exhibition & Sale. Open To All Mediums, Ages, Level Of Experience. 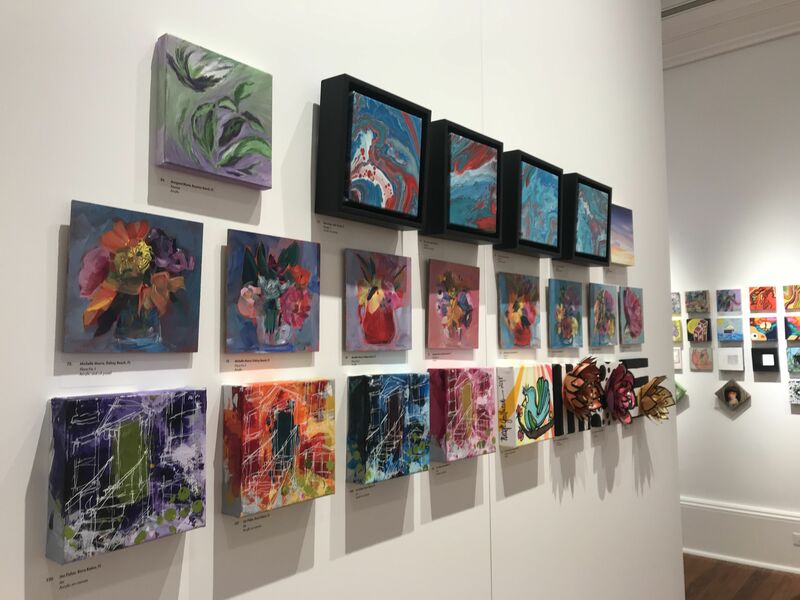 Each year, artists of all ages and levels from around the country donate 6×6 inch art works in a variety of mediums to the Cornell Art Museum’s fundraiser, The 6×6 Exhibition & Sale. Submission forms are ready and everyone is welcome to participate! All submissions are on view during the month of July and then available for purchase for $30 in an auction-style sale on July 25. All proceeds benefit the Cornell Art Museum. 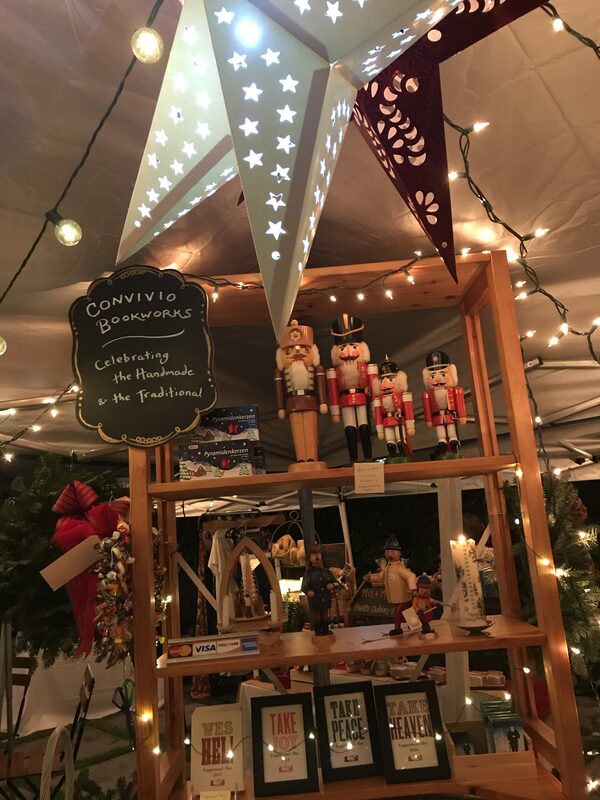 The Rickie Report shares the details, some photos from last year, and urges you all to take part! The deadline for submission is June 22. All artists, aspiring, professional and hobbyists, are invited to submit original artworks – any medium – in the 6″ x 6″ format for this all-inclusive art experience! All art must be ready to hang on the wall. 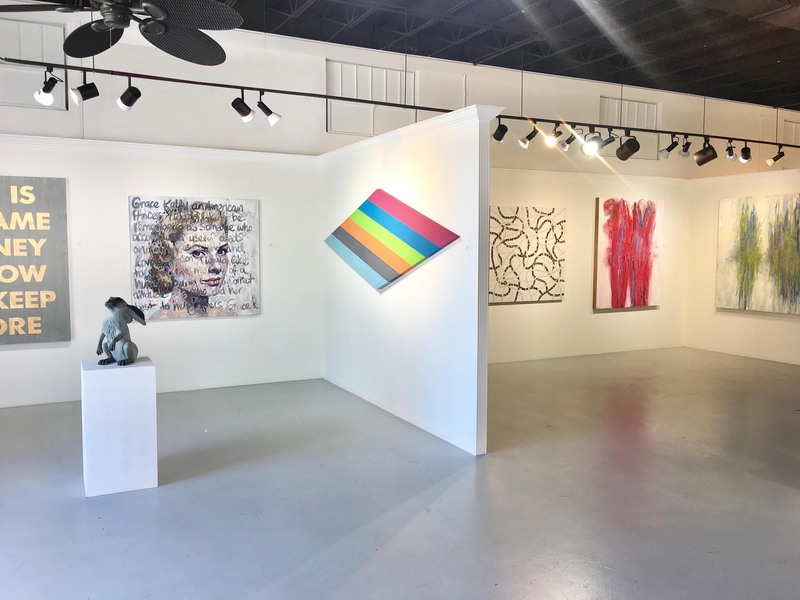 All pieces are shown as the Spotlight Gallery feature exhibition for the month of July, opening during Delray Beach’s First Friday Art Walk on July 5, 2019 and will remain on view until the 6×6 Art Sale. 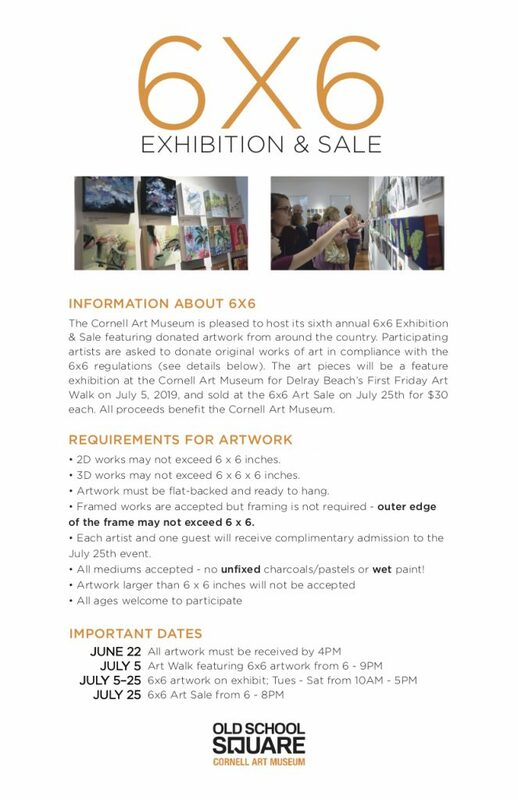 Cornell Art Museum is excited to announce its 6th ANNUAL 6×6 EXHIBITION & SALE coming up this July. All submitted artworks are then sold for $30 each on July 25 in an auction-style sale. All proceeds will benefit the Cornell Art Museum programming. 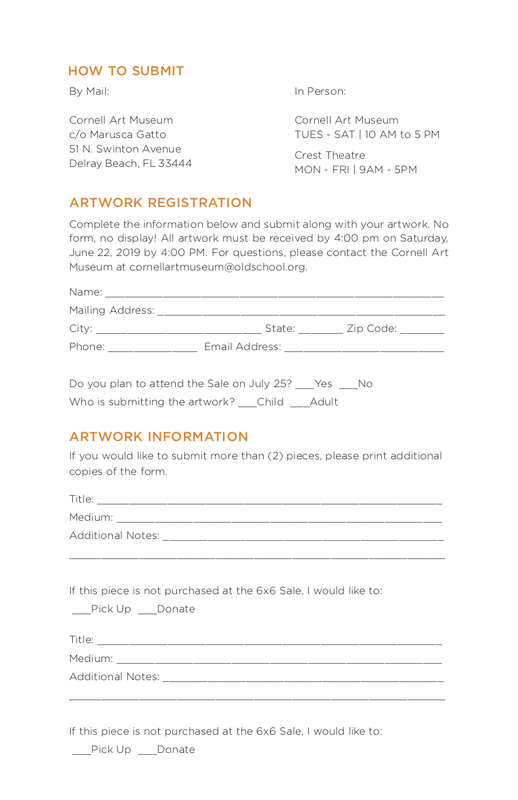 Art on the Square is a signature fundraising event for Old School Square Center for the Arts, Inc., a 501 (c)(3) registered non-profit cultural organization. 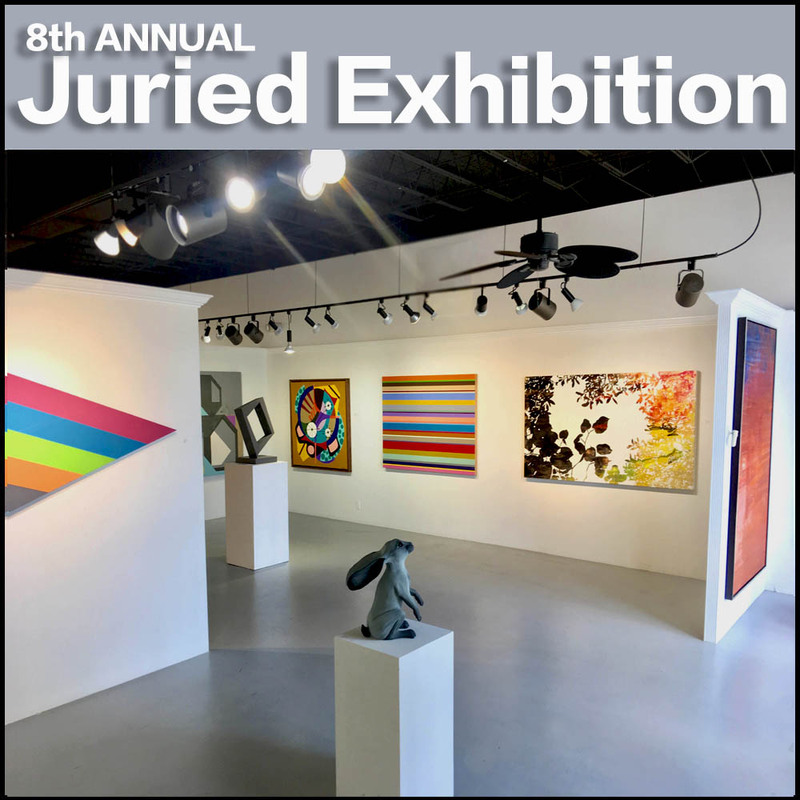 JF Gallery is pleased to announce its 8th Annual Juried Art Exhibit, with juror Bruce Helander. Applications are open to all Established, Mid Career, and Emerging artists in the United States. The Opening Reception will be held on June 29. The Rickie Report shares the details here and urges artists to apply! 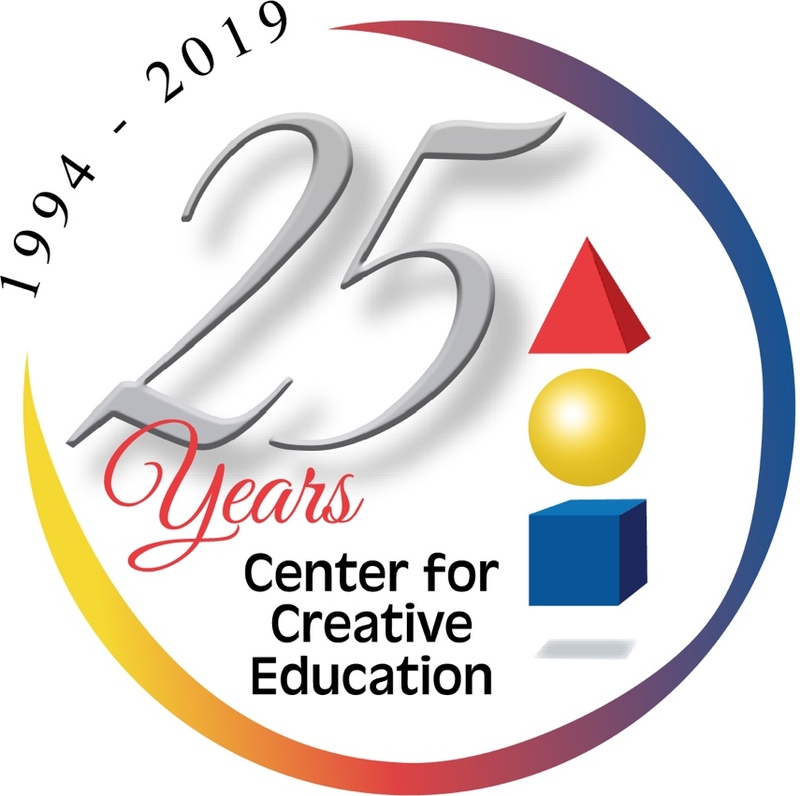 The exhibit takes place June 28 – July 20, 2019. Open to all Established, Mid Career and Emerging Artists in the United States. Entries must have been completed within the past 2 years and not previously exhibited in JF Gallery. Jury will be looking for technically competent work in all genres and Styles. Artist may submit one (1) to three (3) pieces of artwork. JF Gallery takes a commission of 35% on all sold artwork during exhibit. Best in show: $500. The juror has the option of awarding Honorable Mention recognitions. 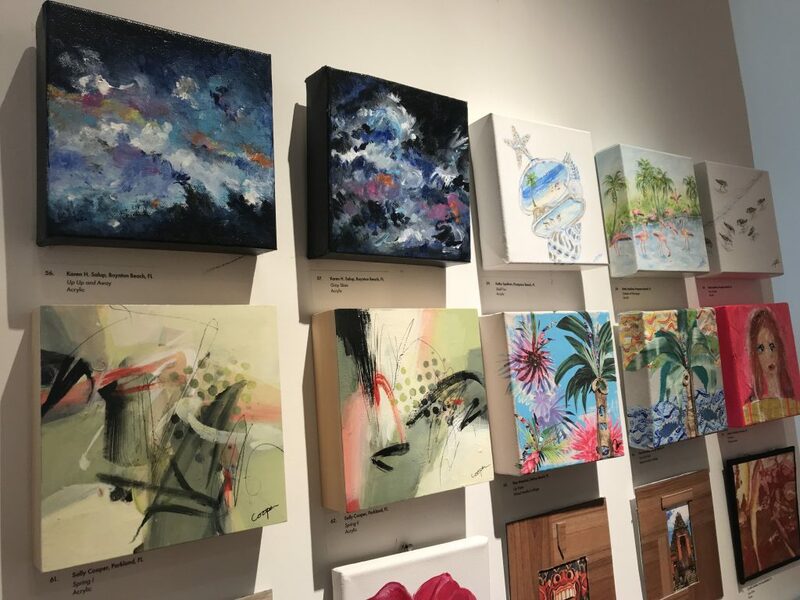 Purchase awards and exhibition opportunities are some of the additional benefits possible for artists whose work is selected. Work in 2D and 3D media is eligible. 2D work must be wired and ready for hanging. Sculptures not to exceed 100 lbs in weight. Artists whose works are accepted will be notified via email or phone by June 7th 2019.
be maintained. Accepted works must remain on exhibit for the duration of the Exhibit NO EXCEPTIONS. Entry Fees are non-refundable. Accepted works may be hand delivered or shipped PRE-PAID by June 24th. The Artist will assume payment for return shipment. Artists should insure their work during transit. Although all responsible care will be exercised, JF Gallery cannot be responsible for any loss or damage in shipping or while on exhibit. Sending an entry shall limply an agreement on the part of the sender to the conditions set forth in this prospectus. JF Gallery is not responsible for artwork left unclaimed past pick up date of July 22nd. Bruce Helander is an art critic, arts writer, curator and artist whose specialty is collage and assemblage. 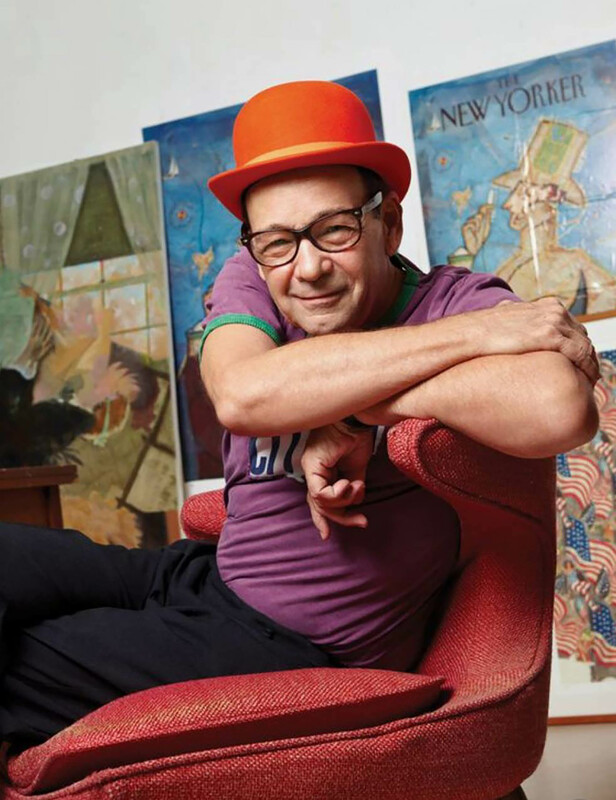 He has a master’s degree in painting from the prestigious Rhode Island School of Design, where he later became the Provost and Vice President for Academic Affairs of the college. 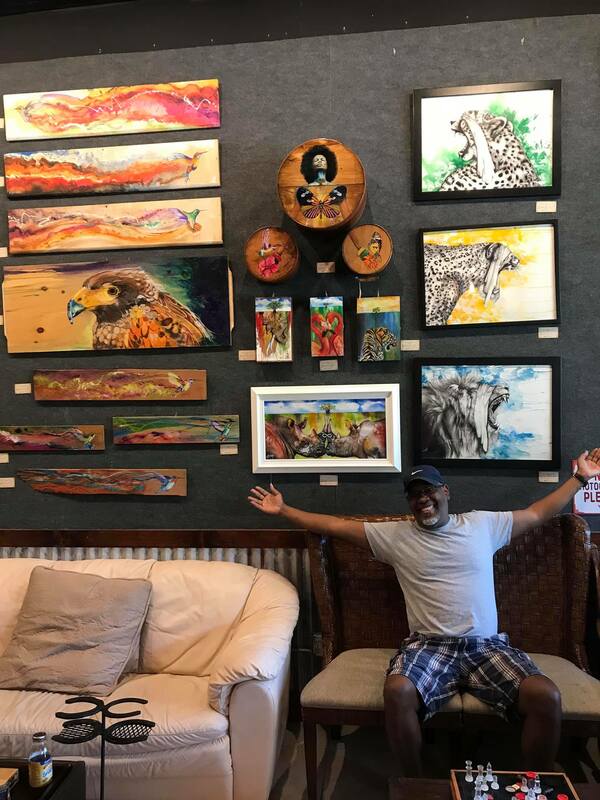 He is a former White House fellow of the National Endowment for the Arts and has won the South Florida Cultural Consortium fellowship for professional achievement in the visual arts. He is one of two 2014 inductees to the Florida Artists Hall of Fame, Florida’s most prestigious arts and culture honor (the other is musician Tom Petty). 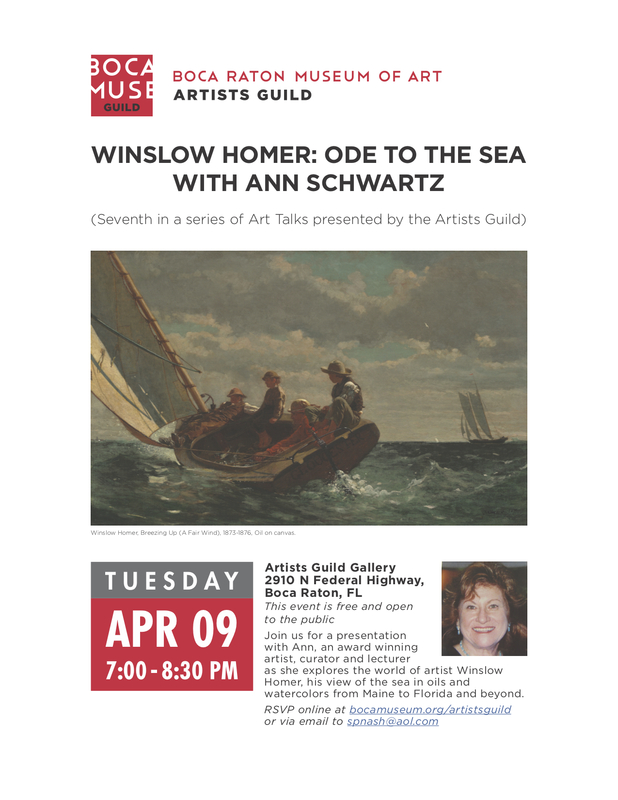 The Artists’ Guild of the Boca Museum of Art presents a free lecture by Ann Schwartz, “Winslow Homer: Ode To The Sea” on Tuesday, April 9. The public is invited to this event, part of a series of Art Talks presented by the Artists’ Guild. Ann is an award winning artist, curator, and international lecturer, who will bring Winslow Homer’s paintings to life. The Rickie Report shares the details here, including more about joining the Guild. Please note: The Guild’s Gallery has moved from Delray Beach to Boca Raton! Come and visit the new, larger gallery space! 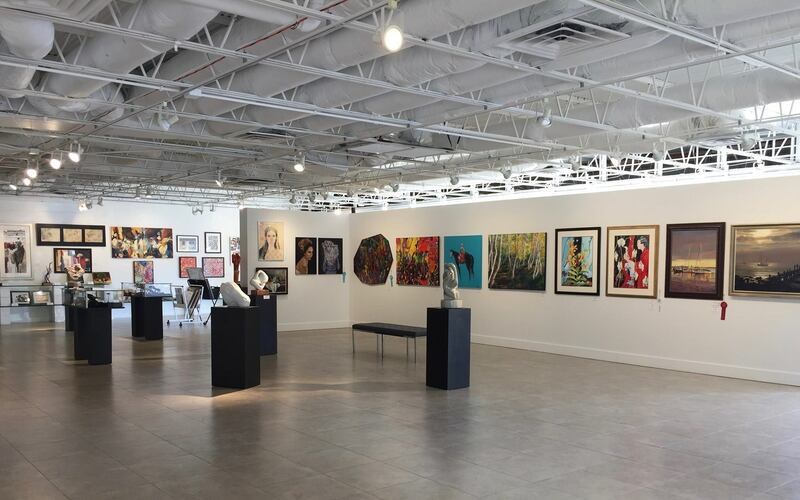 The Artists Guild is an auxiliary of the Boca Raton Museum of Art and was established in its current form in 1984 by the Board of Trustees of the Boca Raton Museum of Art. The Guild comprises hundreds of members, many of whom exhibit at the Artists Guild Gallery on Federal Highway in Boca Raton, FL. Steve Nash tells The Rickie Report, “We very much encourage your participation in the Artists Guild. Our organization is vibrant and growing because of the interest and excitement of our members. It is not necessary to participate in the Artists Guild Gallery in Boca Raton to be an active member of our Guild. 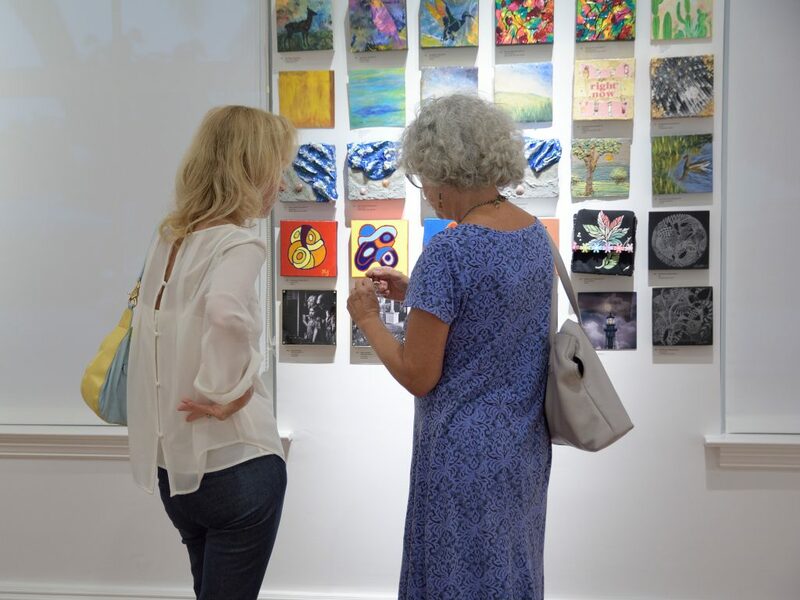 We have many exciting exhibition venues beyond the Artists Guild Gallery in Boca Raton”. Become active and get the most out of your experience with The Artists Guild! 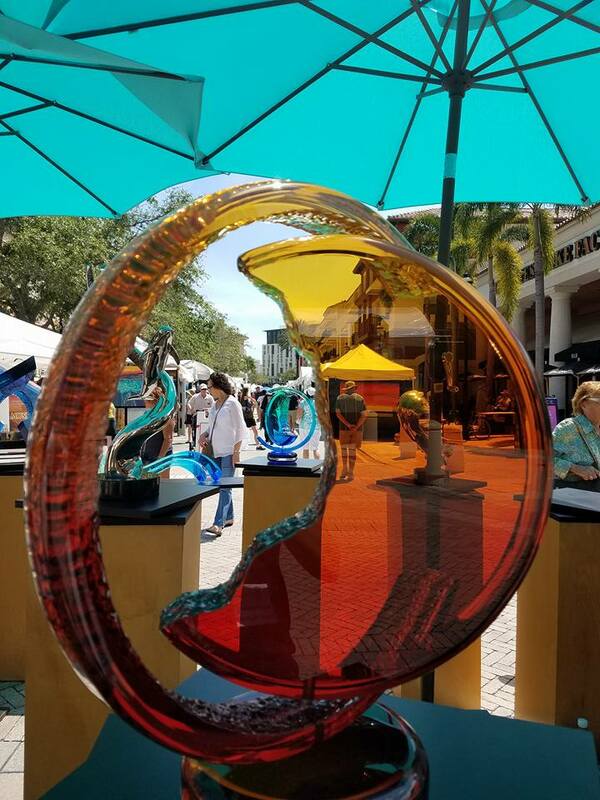 There are three levels of participation with the Boca Museum Artists’ Guild: Associate, Signature, and Participating Signature members. Support the Boca Raton Museum of Art (BRMA). Provide an association of artists in all media to interchange ideas, support and educate members and provide quality venues for the exhibition of their original fine art. Treat members and customers with respect and dignity. 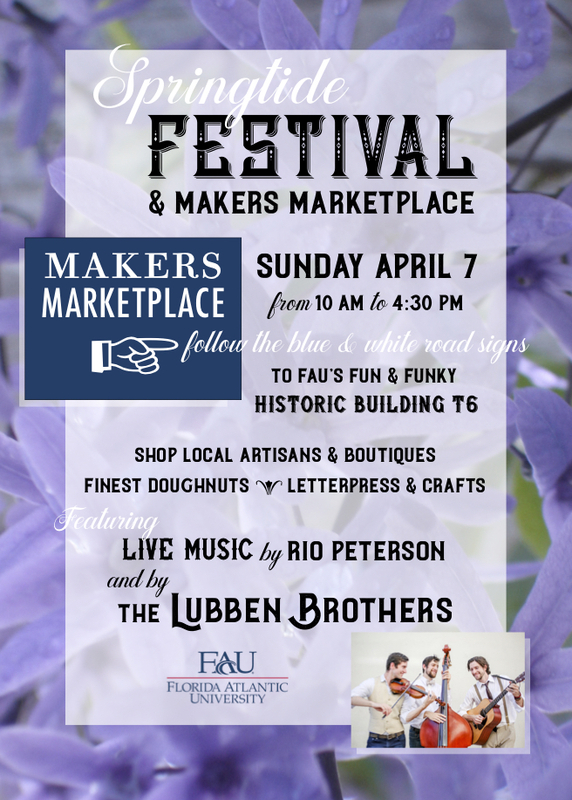 To contribute to the cultural climate of South Florida. In 1950, Boca Raton had a population of less than 1000, with the library acting as the cultural center of the community. Community members began an “Open House,” to exhibit their individual arts and crafts accomplishments. In 1951, the Art Guild of Boca Raton was organized and later incorporated on December 12, 1954. In 1960, five adjacent lots were purchased on West Palmetto Park Road. Construction began in 1962 and, in the fall of that year, 12 years from it’s founding, the Art Guild dedicated its first home. Because of a pressing need for studio space, due to the growth of its classes, a building committee was created in 1968. On March 29, 1969, the Studio Building was dedicated. Since 1969, the growth of the Art Guild has taken many different directions. 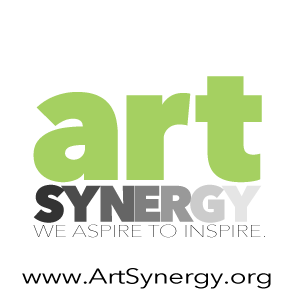 The Exhibiting Artists Guild, known as the P.A.G. or Professional Artists Guild, was formed. Artists of the “Guild,” held critiques, presented demonstrations by well-known artists and were invited to exhibit their works in several hotels, corporations and clubs. In 1975, the Center changed its name to Boca Raton Center for the Arts, and 10 years later, the Boca Raton Museum of Art. In a relatively short period of time, the enthusiastic support of a group of community artists led to the foundation of the BRMCA! In 1997, the name was changed to Boca Museum Artist Guild. Membership was opened to the community. Guild membership was divided into two categories: Associate and Exhibiting. Guild activities have significantly contributed to positive public relations for the Museum. 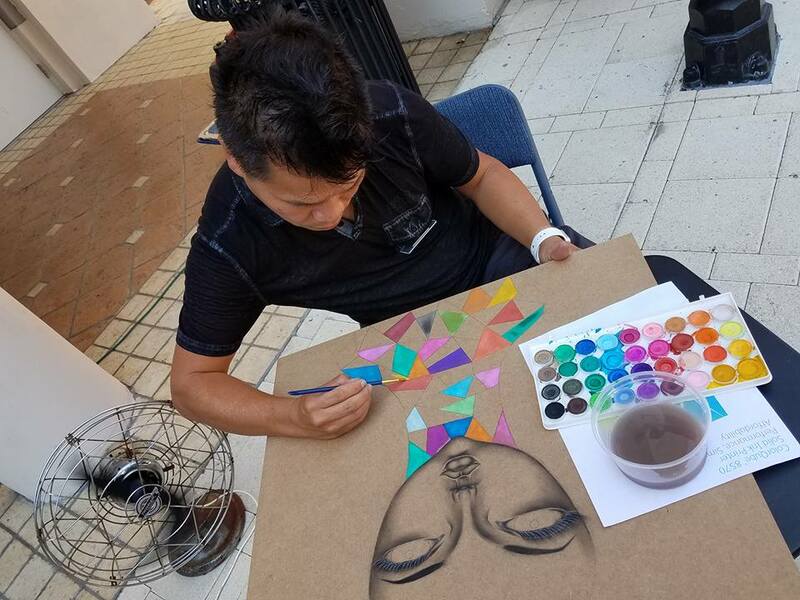 The Guild has participated in Boca Festival Days for 16 years; exhibited with Northern Trust Bank at their request; and provided artwork for Boca Raton Community Center, City Hall and Patch Reef Park. For two years, the Guild provided the Art Department of Pine Crest School with exhibits for teaching tools and with member lecturers. 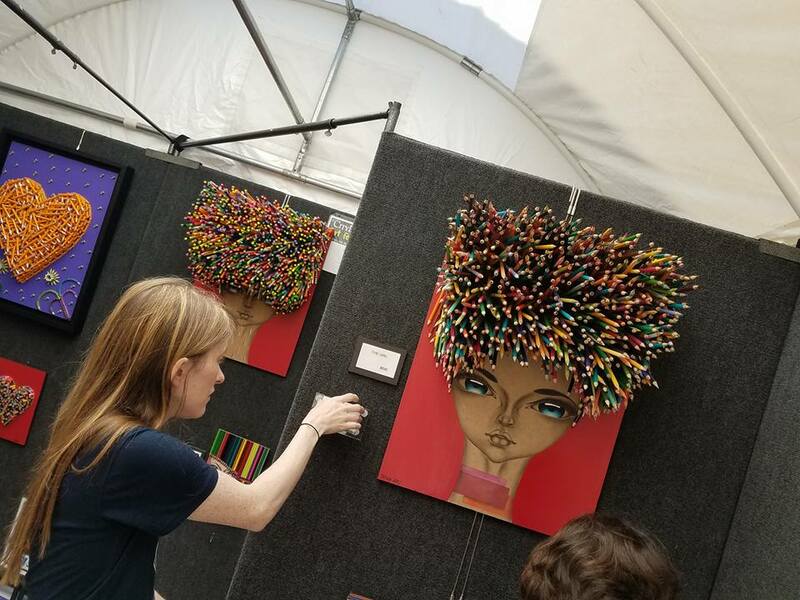 For the past three years, the Guild has participated in a joint exhibition project with the students of Boca Raton High School. Several Guild members serve as teachers at the Museum’s Art School. Additionally, Guild artists support the Museum’s Annual Auction with donated artwork and volunteers. In 2000, The Artist Guild moved its exhibition center from Royal Palm Plaza to the Shops at Boca Center. Known as the Images Gallery, it offered Signature Members a first class exhibition space in a popular, commercial center. It proved to be a very positive public relations effort for both the Guild and the BRMCA. Professional artists were drawn to the center, as there was no comparable exhibition space for local artists in the tri-county area. Membership in The Artists Guild doubled between 2000 and 2004. We currently have several hundred members, both artists and lovers of the arts. Increasing art sales produced real year-end contributions from The Artists Guild to the Boca Raton Museum of Art. 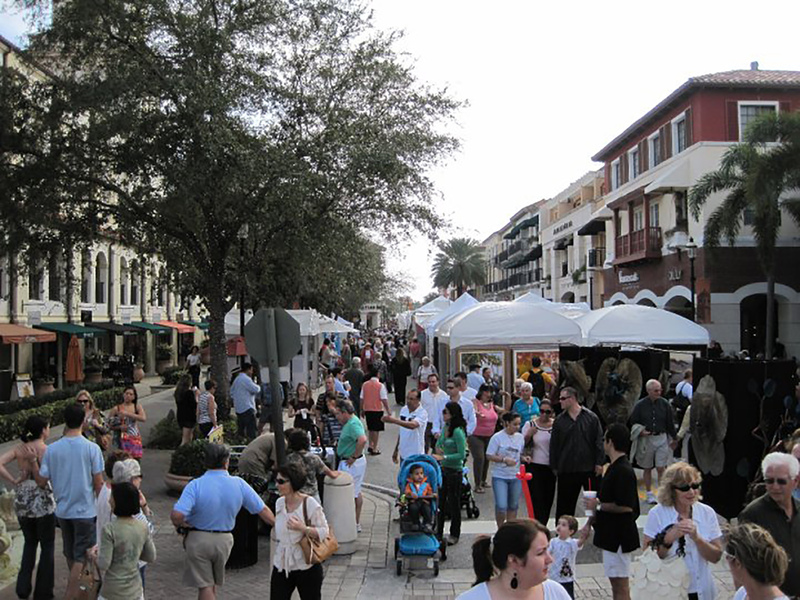 The Artists Guild moved to Mizner Park in Boca Raton in April 2005. Between April 2005 and September 2008, the Images Gallery was in three different Mizner Park locations. The Guild lost its space in Mizner Park and The Images Gallery closed at the end of September, 2008. In October 2008, the Guild secured a new location for its gallery, this time on Atlantic Avenue in Delray Beach. 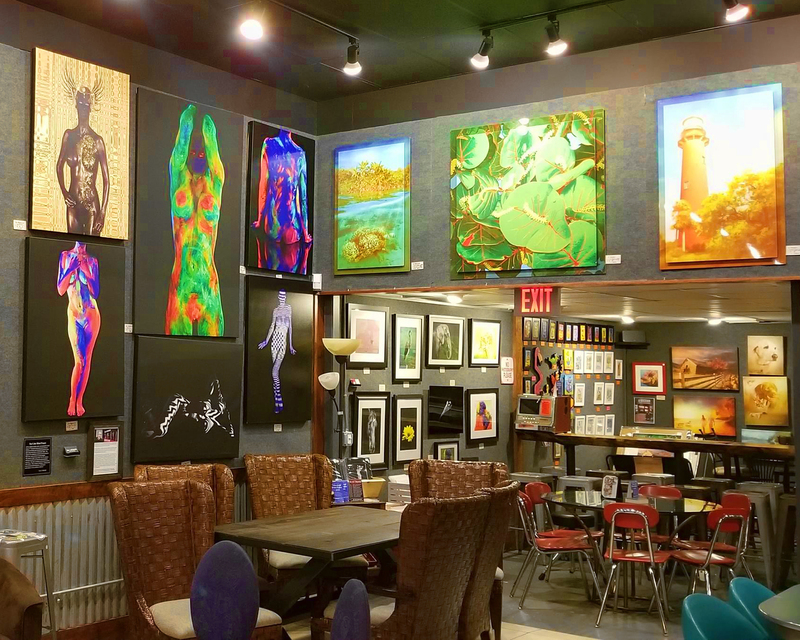 This new gallery, now known as The Artists Guild Gallery, reopened in November, 2008, with participation of over 100 Signature Members of The Artists Guild. In September 2017, the Guild moved back to Boca Raton in a new larger space on Federal Hwy. 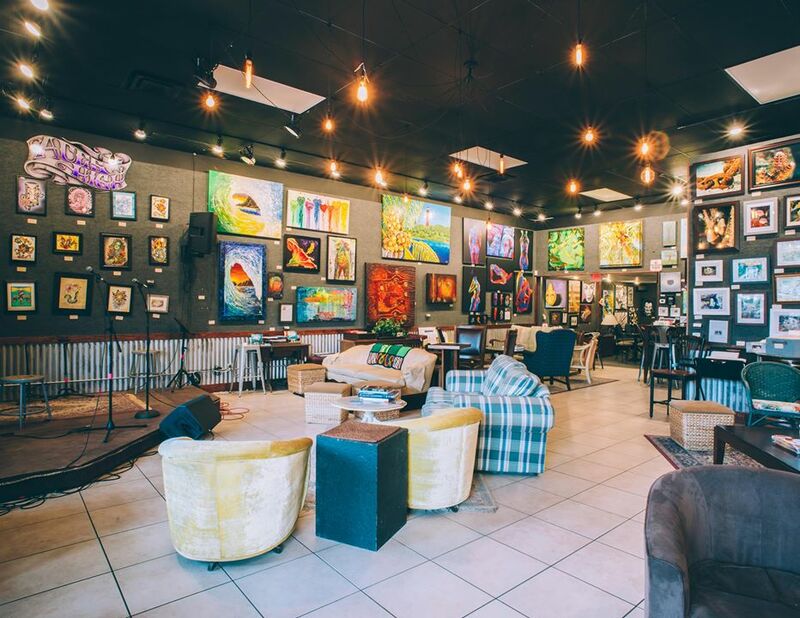 This new gallery, known as The Artists Guild Gallery, is over 3,000 square feet. It reopened in October, 2017, with participation of over 100 Signature Members.